Harry Patch never spoke publicly about his experiences on the frontline of the First World War until he had turned 100. From then on he was to become an eloquent ambassador for those who had lost their lives on both sides. He returned to Passchendaele in 2007 for the 90th anniversary of the battle, laying a wreath, not only on a memorial for the British dead, but also at a cemetery for the German victims of the offensive. He also went to the Menin Gate where he made this speech. He died in July 2009, aged 111. He was the last of the British veterans of the Western Front. 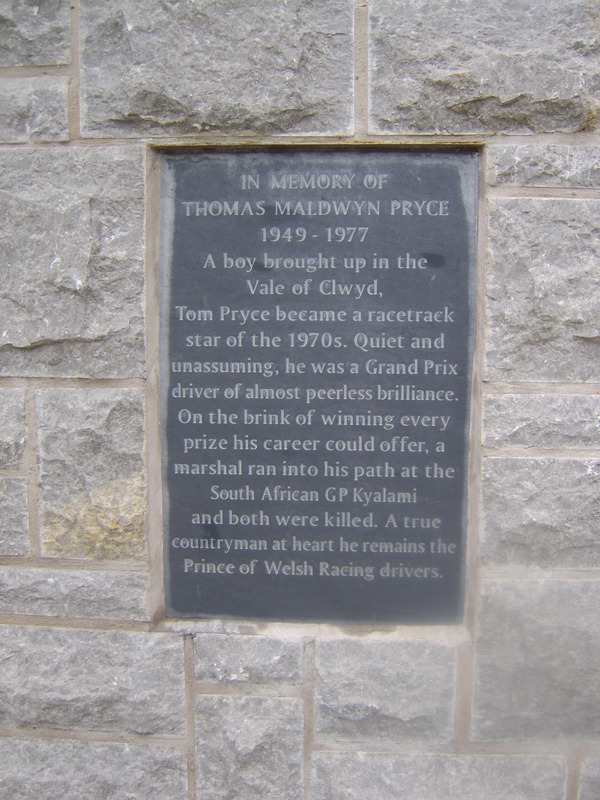 Fans of Formula One and the film ‘Rush’ might have heard of Tom Pryce – but many others may not. He was a rising star of the Grand Prix circuit in the 1970s but he was to lose his life in a freak accident at the South African Grand Prix in 1977. The circumstances of the accident remain one of the most shocking in motor racing history. Tom was cresting a rise at Kyalami and was unable to dodge a teenage marshal running across the track to attend a small fire in another car. Jansen van Vuuren, the 19-year-old marshal, was hit at 170mph by Tom’s car and was killed instantly. The fire extinguisher he was carrying smashed into Tom’s head wrenching his helmet up and sharply cutting him with the strap. Death for him was almost certainly instantaneous too. 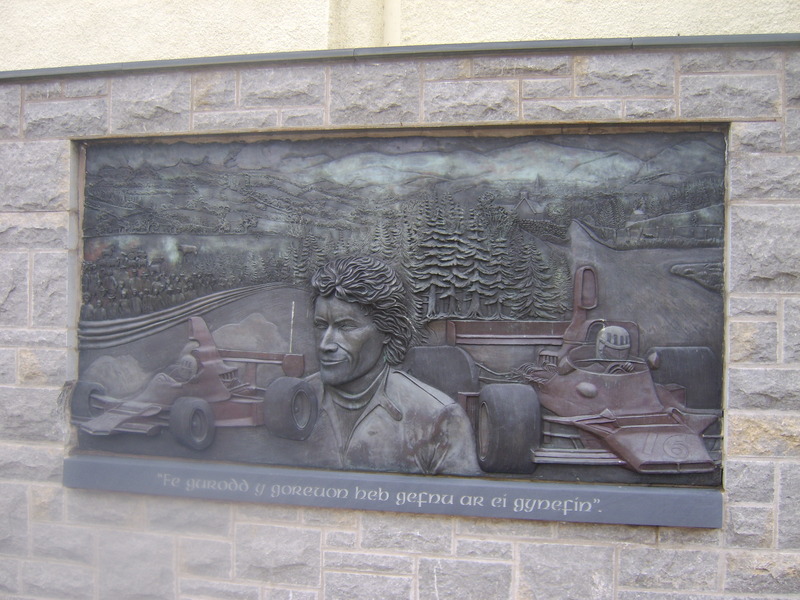 The photographs on this page show the memorial to Tom Pryce in his home town of Ruthin, North Wales. 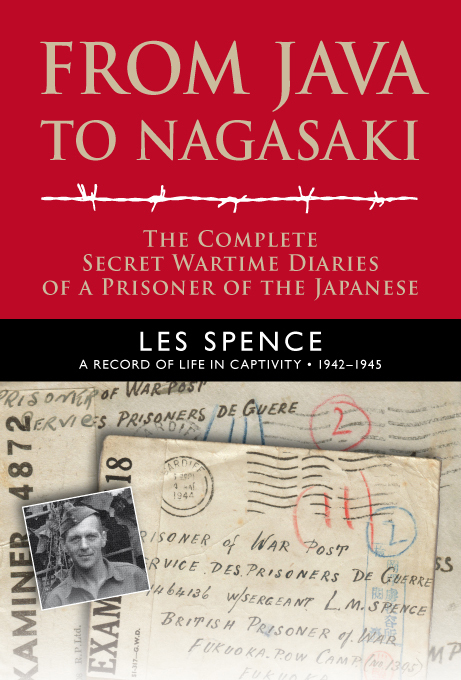 You can read more about his life and death here. Remarkable footage of the moment SS war criminal Erich Priebke was confronted by a television journalist in 1994. Priebke died at the age of 100 earlier this month. He was under house arrest in Rome. He had found himself back in Italy after this confrontation in which Sam Donaldson of ABC doorsteps him in Argentina. As a result of the interview Priebke was extradited to Italy and sentenced to prison for his part in the 1944 Ardeatine Caves massacre in Rome. 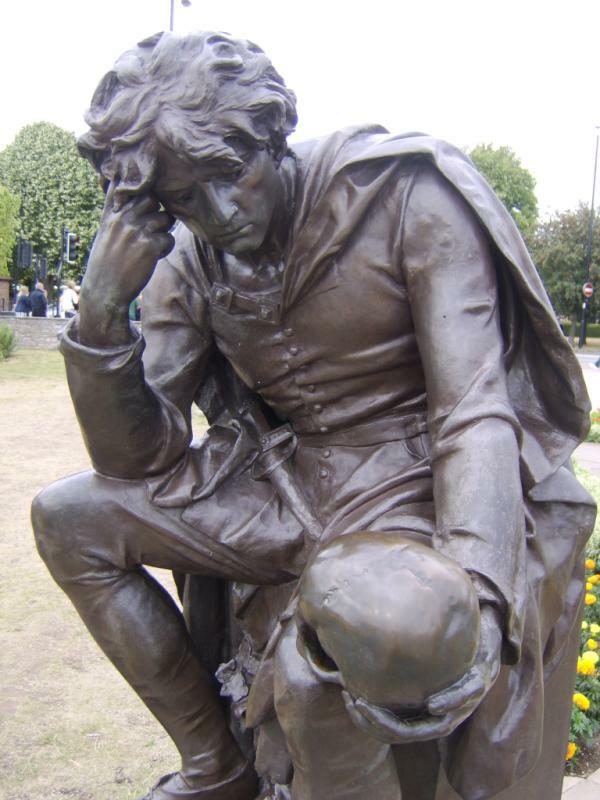 A little inspiration from Stratford-upon-Avon. Anyone recognise any features of the uniform? 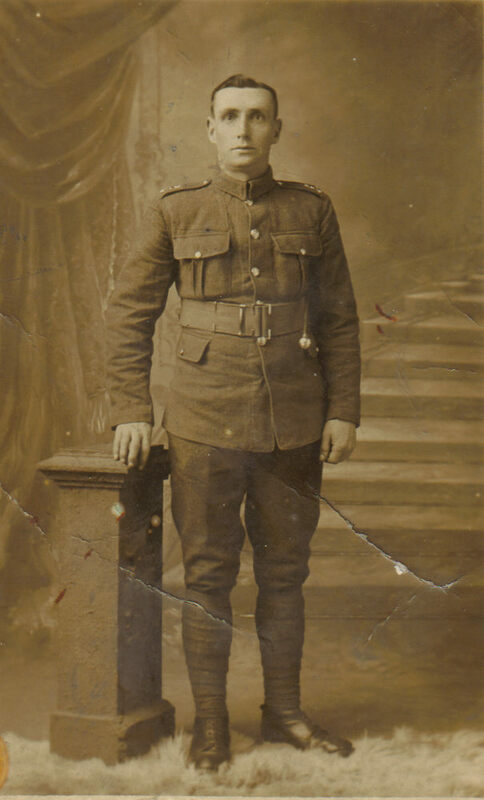 This photo is in my family’s collection but we don’t know anything about it, other than the fact that it was taken in ‘Londonderry, Northern Ireland’ at around the time of the First World War. Can anyone identify any information in it? Something about the uniform, the buttons? 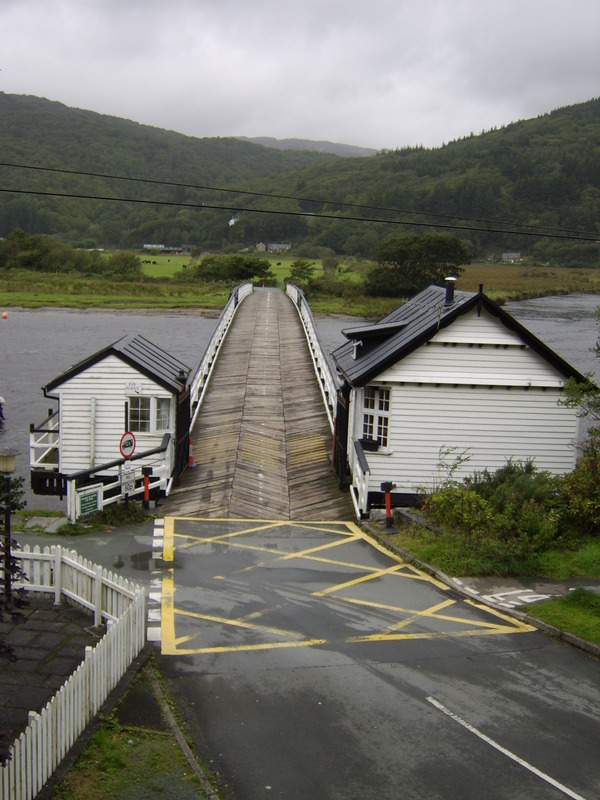 The toll bridge at Penmaenpool. 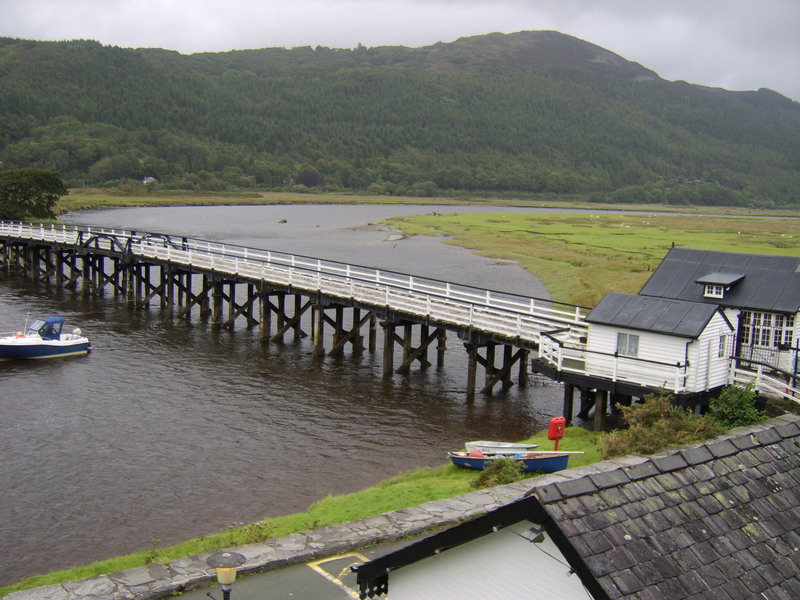 The wooden toll bridge at Penmaenpool provides a peaceful walk for visitors to the Mawddach Estuary near Dolgellau. The area is a haven for walkers, cyclists and bird watchers. The RSPB has turned an old signal box into an observation centre overlooking the estuary. But the Grade II-listed bridge, which was built in 1879, was not always peaceful. In July 1966, it was the scene of a great tragedy when the Prince of Wales ferry, which was nearing the end of its pleasure trip from Barmouth, got into trouble as it tried to pull up alongside the nearby jetty. The vessel was washed into the wooden toll bridge and quickly sank, with its passengers being thrown into the fast-running incoming tide. Staff from the nearby George III hotel and the toll bridge itself rushed to help but 15 of the 39 people on board drowned. A peaceful corner of Wales, but a scene of great sadness for so many. The Mobile Map of Europe. This is quite a piece of work. I’m sure if you analyzed it, it would be controversial in places. There are times when no-one can agree where a border is. But it shows that, in reality, borders are actually as changeable as we believe they are constant. It is easy to forget that history is a moving thing, a living, breathing entity that moves through the decades and centuries. Political borders that seem absolute – even today – are not, and this map is a great way to remind ourselves that history will not be denied. Barry Ritholtz on The Big Picture via LiveLeak.